Non-theist charity is alive and well in Central Ohio. 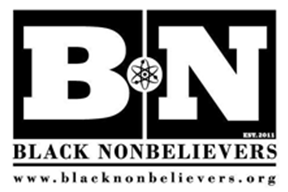 Foundation Beyond Belief (FBB) has recognized Central Ohio United Non-Theists (COUNT) as a Level 3/Gold team for 2016. “You are at the pinnacle of BBN’s service expectations. We are so thrilled with the exemplary work your team is doing. 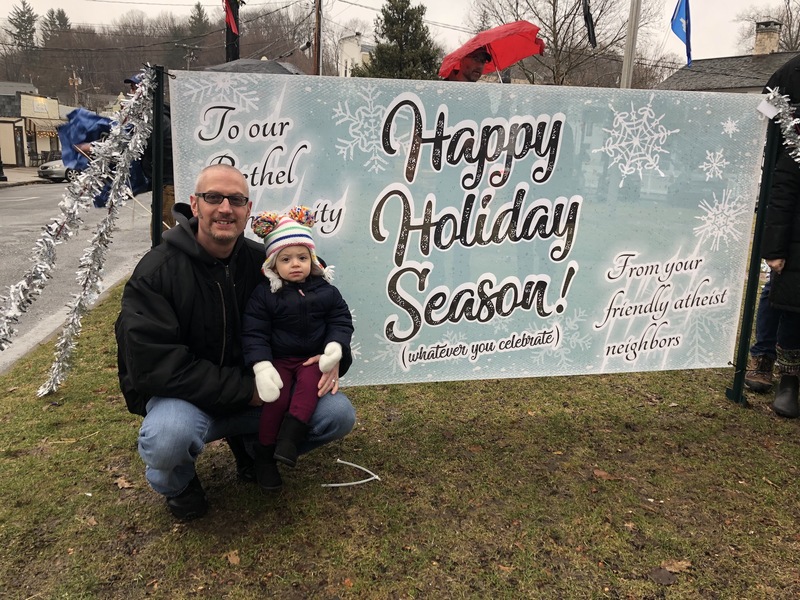 Not only are you helping your community, you are reminding people of all the good we can do when we focus on actions rather than beliefs” says Wendy Webber, Beyond Belief Network (BBN) Coordinator. So far, COUNT is one of only three of over 100 BBN teams to have reached this milestone in 2016. Austin Humanists at Work and Tri-State Freethinkers are the other two. 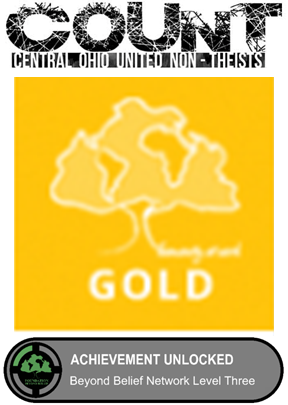 COUNT has previously received level 3/Gold status in 2014 and 2015 for holding more than 12 non-theist charity events each year. 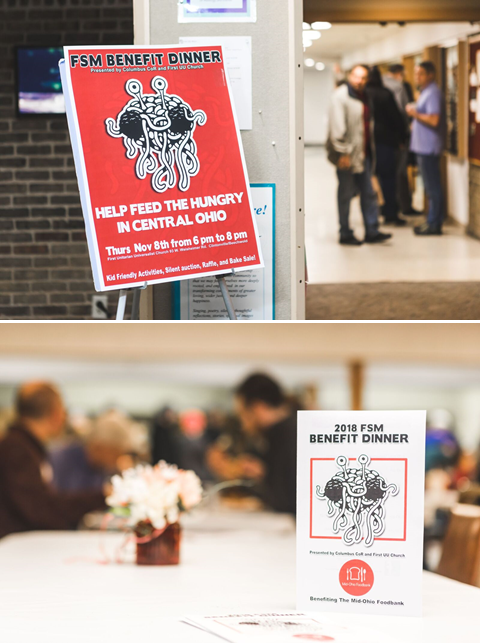 Last year, COUNT was awarded the 2014 Backbone Volunteer team award for “playing a consistent and reliable role in a community organization” and applied the associated $100 grant to the Flying Spaghetti Monster Benefit Dinner benefiting the Mid-Ohio Foodbank. Since May 2013, COUNT has volunteered on the 1st Sunday of each month at the Columbus Ronald McDonald House which provides housing and meals to families with hospitalized children. Thirteen volunteers led by Dave Nohle have worked 721 hours restocking “hotel” rooms and otherwise assisting guests as of June 2016. COUNT project leader Mike Bondoc continues to invite other Columbus CoR groups to partner with COUNT at the Van Buren Drive homeless shelter. 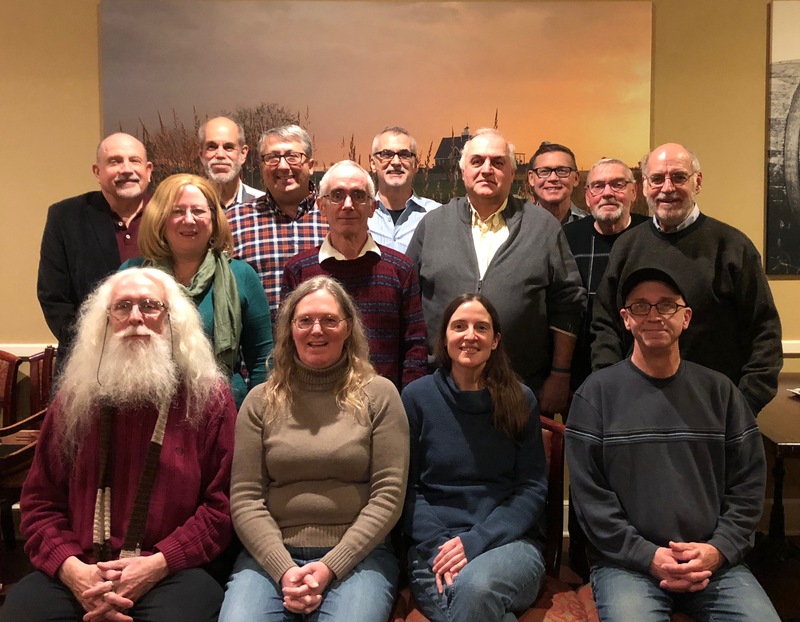 This year, the Humanist Community of Central Ohio (HCCO) led by Blair Prusha and Gena Deffenbaugh has been working with COUNT on 2nd Tuesdays of each month to serve dinner and cleanup at the homeless shelter. Following these events, volunteers often join the Omnipresent Atheists (OA) Tuesday night meeting in progress to unwind. 58 volunteers from Columbus CoR groups have worked 411 hours at twenty shelter events since this project started in January 2015. In addition to this year’s monthly events, COUNT has planted trees with the Friends of the Lower Olentangy Watershed (FLOW), organized requests for Ohio, Franklin County and Columbus Day of Reason proclamations, tabled for Columbus CoR at COMFEST and helped at the national Secular Student Alliance (SSA) annual conference. FBB channels donations from non-religious donors to various charities. Their BBN teams have volunteered over 100,000 hours to date. 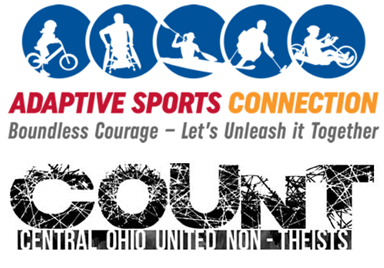 COUNT, HCCO, and OA are members of the Columbus Coalition of Reason (CoR). SSA is a Friend of Columbus CoR. Previous Previous post: Interview: An [Air] Force to Be Reckoned With!